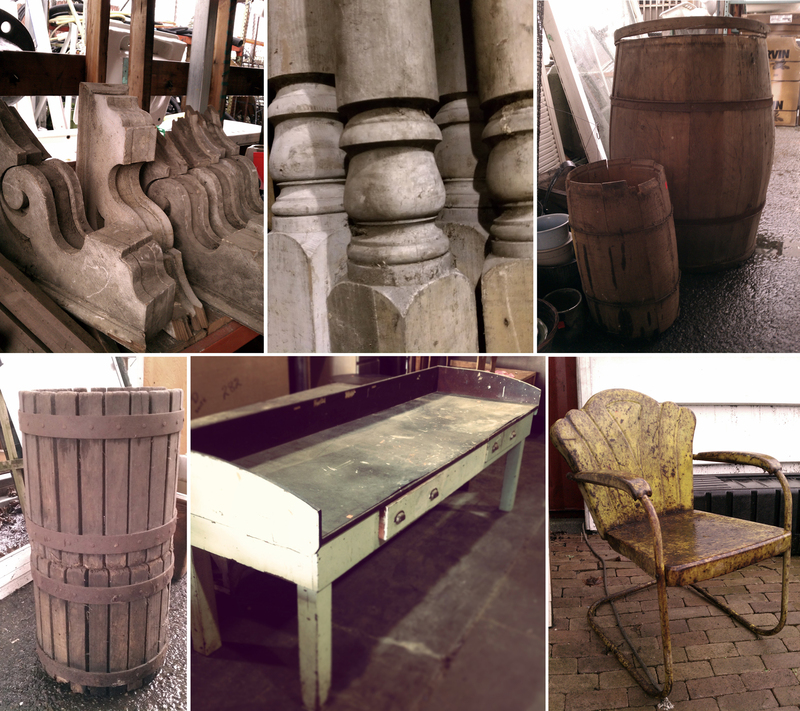 The Seattle field crew recently salvaged some architectural details and furniture (corbels, columns, mail sorting table, chairs, barrels can be seen in the above photos) from a barn on property that is one of the very earliest homesteads on the east side of Lake Washington. The original 20-acre homestead was established in 1884, located east of Yarrow Bay in Bellevue. The property has been in the current owners family since 1919 when their great-grandfather purchased it – now referred to as The “Ranch”. The homestead first operated as a dairy and fruit orchard into the 1930’s. When the owner’s parents moved into the homestead as newlyweds in September of 1940, the property had been vacant or rented during the later part of the Depression. Happily it had remained largely unharmed with much of the furniture, barn, and outbuildings intact. As a young civil engineer, the current owner’s father began the remodeling of the old Victorian house after WWII that was originally building in 1880s, devoting the bulk of his spare time over the next 50 years to the eternal project of renovating the house for his growing family, then maintaining the property. The original homestead cabin remained on the upper part of the property as well until the 1990’s – and these architectural details we brought back to the store from both buildings had been carefully stored in the barn since the 1950s. Come check them out!